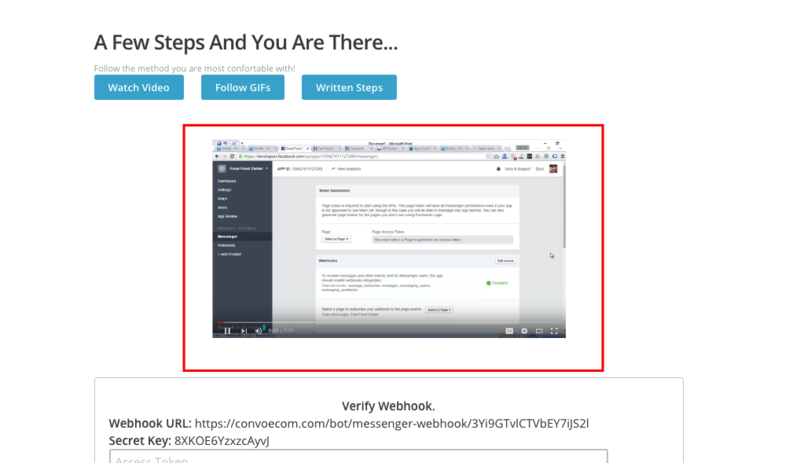 Botsify works best when you login with facebook, its because it reduces several steps you will have to perform in order to configure your facebook chatbot. But if you choose to sign up with facebook, the process will be very easy for you. Despite of having signed up with facebook, it depends if you have a facebook page or not. Because a chatbot works only with facebook page. You will have to create a facebook page if you don't already have one. The manual configuration is very difficult for non-technical users. 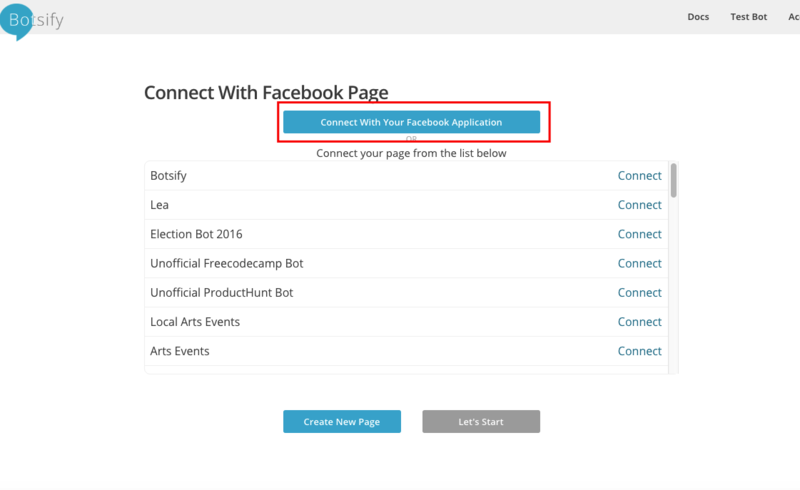 But if you want to connect your chatbot with your own application for better scalability, you can configure your chatbot with your facebook application. Here is how. When you create a chatbot with Botsify, you are asked to connect it with your facebook page. You can see a link at the top, which says "Connect with you facebook application". Once you click this link, you see a page which gives you information about following tutorial through GIF, Video or Image based steps. After getting there click on the video. The same video can be watch here. After having watch the video. You information at the bottom of this page, should be filled. Click the save button and you are done. You now have manually configured your chatbot with your facebook application.